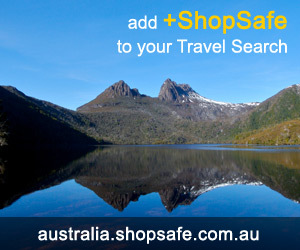 There are 10 shops in the ShopSafe USA Digital Camera Stores Shopping Category. Digital SLR cameras, Digital Point and Shoot cameras, Camcorders, Memory and media - Sears has the lot and more. Easy online shopping, fast shipping and loads of payment options. Share, print and store your most important photo memories. Snapfish offers professionally-developed digital camera prints, free online photo sharing, unlimited online photo storage, and a variety of personalized photo products, ranging from calendars, mugs and mouse pads, to books, puzzles and teddy bears. Kmart holds an in depth range of digital cameras, camcorders and accessories. They have options to suit all budgets and needs, from cheap disposable cameras to high quality professional camera kits. A comprehensive collection of flash memory cards for digital cameras and camcorders. Shop for CompactFlash, SD, xD, Multi-Media, and SmartMedia card formats - consumer friendly, easy to use and backed by a lifetime warranty. StorePhotos.com sells Pioneer Photo Albums, Scrapbooks, Refill Pages, and Photo Accessories. The also offer archival quality photo safe products that are Acid, Lignin and PVC emission free. All else failed? Let us help. If you want to see more Digital Camera Stores here, please e-mail digital_cameras@shopsafe.cc. Please do not change the subject line of your email. If the subject line does not contain "Add to ShopSafe Online Shopping" it will not be read.